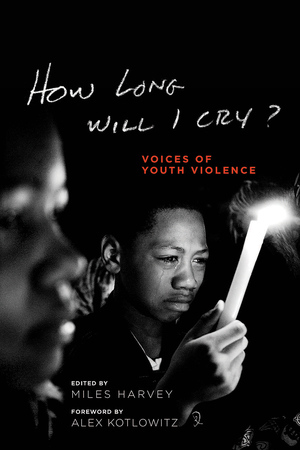 Standing out among the buzz of new fall books and emerging authors in this city is one very significant project: “How Long Will I Cry?” an anthology of oral stories of youth violence. The book is the fruition of two years of interviews collected from the streets of this city, which were then transcribed and edited into concise narratives by creative-writing students at DePaul University. These narratives were initially adapted into a play of the same name, which debuted at Steppenwolf earlier this year and toured through South Side and West Side libraries. The project also inspired DePaul University’s new venture: Big Shoulders Books, a publishing house that seeks to emphasize the real worth of story-telling, and will offer one book a year that engages Chicago communities. “How Long Will I Cry?” features the subjects one might expect to find in a book of this topic: runaway teen mothers, high-school dropouts, teenagers with rap sheets, people on parole, people on welfare, people on drugs. But because the stories are theirs, in their own words, there is no mistaking these people for some monolith of poverty, illiteracy, and violence. Instead, they’re wholly individualized, celebrated, mourned. I recently spoke with Miles Harvey, a creative-writing professor at DePaul who built the project, led his students through the process of interviewing, transcribing, and creating the narratives, wrote the adaptation for Steppenwolf, edited the anthology, and is now working to promote the book. 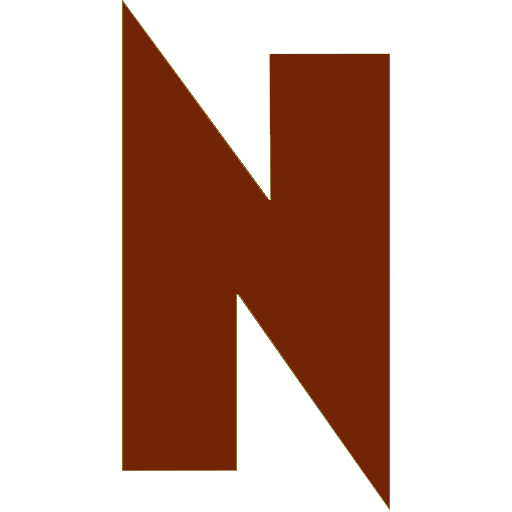 This project received a lot of funding and support. What was the fundraising process like? Describe the process of turning these transcripts into a play, and then turning the transcripts into a book. How were these processes different? The biggest problem of the play—and not every critic thought we solved it, but we made a decision early on to not focus on one incident—was pulling the stories together. Derrion Albert’s murder in 2009 was what got us into this. We knew how scarred the Roseland community had been by that. That whole neighborhood suffers a stigma because of that incident. So we decided to talk to people all over the city. The tricky part was tying the stories together. Several people encouraged me to write in a narrator character that was, essentially, me. I’m not sure we achieved the right balance with that character. I think that character was necessary to the play, but some critics thought there was too much of that character in the play. It’s hard to say. There was no not-including that character, because the stories were not cohering. In the book, this turned out to be its strength. People from Little Village read stories from Uptown, read stories from Englewood, read stories from Roseland. There’s some kind of conversation on a broader level. I’m really pleased we chose that path for the book. What is the goal of Big Shoulders? The idea of Big Shoulders Books is that books are worth more than their cover price, not less. So the challenge is in giving a book away for free, while at the same time making it a commodity. We don’t want people to see the book as something free, given away on a street corner. We want it to be something people cherish and value. And we want to get the book into the hands of those who can really, really use it. We’re getting requests [for the book] from all over the country. When you go to our website, you have to write [a letter explaining] why you want the book. We don’t consider it a free book—you have to be doing something with it. Some of these letters are just unbelievable. You know, “I’m working with at-risk kids in high school where this is an everyday occurrence.” We’ve gotten letters from cops, saying, “My fellow cops don’t understand these kids. I want them to read this.” It’s really pretty powerful. It’s really very amazing. You’re a novelist. How is the sense of satisfaction you receive from collaborating on this project different from publishing your own novel? The whole thing about collaborative story-telling is that you give up a lot. I’m used to being the author, but with this project, I’m not the author. My collaborators are students. My collaborators are people in the book. At book signings, I’m not the one signing the book. When it works, collaborative story-telling encourages more and more stories. It’s hugely satisfying. As a citizen—this sounds hokey—but as a citizen, I feel so much more a part of this city. I now know so many more people in so many more neighborhoods. I feel more invested in those neighborhoods, too, in good and bad ways. So you feel more of a responsibility to Chicago’s people? That’s a really important lesson for your students to be learning, at their young age. I think my students have been affected in two ways. One thing we do a great job of in our creative-writing program is teaching narrative. What we don’t do a great job of is research and reporting, and facing out. I think the first-person voice is an incredible force. I’m all for people placing themselves in the narrative, but even memoir requires research. Also, when working with oral history, you learn a lot about structure. Studs Terkel talked about how you have to take a block of text that’s like a stone, and you have to…well, people are a lot more ruthless with narrative. Some of these stories that are five or six pages in the book were 100-page transcripts. You have to really figure out what the story is, and what the narrative is. So, that’s craft. But also, it’s made them more aware. At one point at DePaul, they tried sensitivity training with my students. The exercise began with writing names of neighborhoods on the blackboard. Like, Little Village. And the students were supposed to say, you know, “Mexican people.” And for Englewood, “terrible gangs.” But the students just had blank looks. They didn’t know what to say, because they live in the most segregated city in the country. I like that the events for “How Long Will I Cry?” are occurring all over the city, focusing on the South Side and West Side library locations. It was the first time Steppenwolf had toured a production in the community. That was no easy task. Logistically, you know, some of the libraries were tiny, and there were all these actors…but it really got the library community excited about the project. It was very surprising. People were blown away that we were there […] I think the right books in the right communities can be very powerful. What have you learned most about yourself from this project? I guess I knew this in theory before, but now I know I can do something really ambitious, and really different, and pull it off. I’ve never been a playwright before! This has made me cross boundaries in a number of ways. It’s a part of my life that I know I will look back on and feel really grateful.